Britain’s richest horse race – the Investec Derby, considered the most prestigious of the UK’s five classics – returns to Channel 4 for the first time in 13 years. Dating back to 1780, the Epsom Derby is still ranked the greatest flat race in the world and with winnings of £1.25m it has one of the biggest prize pots in UK racing, matched only by the prestige that victory on the famous course brings. Ten live races will be broadcast on Channel 4 over the two days, featuring the Investec Oaks on Friday, May 31, followed by the blue-riband Investec Derby on Saturday, June 1, at 4.00pm. For the Flat racing fraternity, Epsom’s Derby remains the race that everyone wants to win as horses and riders push themselves to the limit around this unique and challenging racecourse. It boasts an unrivalled roll of honour, from legendary equine names such as Seabird, Nijinsky, Mill Reef, Shergar, Sea The Stars, Workforce and Pour Moi, right up to 2012 hero Camelot. The Derby is not just regarded as the world’s greatest flat race, but the oldest continually run sporting event in the world. More than 125,000 descend on the Downs on the day of the race for a very British sporting party. Double decker buses disgorge sun-seekers in everything from flip-flops to cocktail dresses, barbecues are sparked and laden with British bangers and bookies tout the favourite as a gamblng frenzy erupts in the build-up to the race. The 234th running of this classic sporting showpiece has 12 contenders with Dawn Approach leading the running ahead of Saturday’s big race. Jim Bolger’s unbeaten Newmarket 2000 Guineas winner has stamina questions to answer on the Downs having never run over further than a mile and even his effervescent trainer has admitted there is no guarantee he will stay over a mile-and-a-half. However, he is a very short-priced favourite to add another Classic to his record. Dawn Approach was due to face one surprise rival in the shape of Aidan O’Brien’s Magician, but the recent Irish 2,000 Guineas winner horse was withdrawn 48 hours before the race. O’Brien can though call on Derrinstown Trial winner Battle Of Marengo, Newmarket Guineas sixth Mars, unbeaten Chester Vase winner Ruler Of The World, Flying The Flag and Festive Cheer. Battle Of Marengo is the winner of five of his six races and has been odds-on for all of his victories. German contender Chopin has been supplemented at a cost of £75,000 by Andreas Wohler, and if he runs he will be the first German-trained runner in the prestigious Classic. Dante Stakes winner Libertarian, trained in Yorkshire by Elaine Burke, is one of three British contenders, along with rank outsiders Mirsaale and Ocean Applause. Andrew Oliver’s First Cornerstone, who ran a pleasing race when fifth in the Irish Guineas on what was his seasonal reappearance, is another possible for Ireland along with David Wachman’s Galileo Rock. Andre Fabre took the spoils two years ago with Pour Moi and has followed a similar route to Epsom with Ocovango. James Tate’s Mirsaale and the John Ryan-trained Ocean Applause complete the 12 confirmations for Britain’s most famous Flat race. The 2013 Derby could also mark the return of Frankie Dettori to racing after his six-month drugs ban, with O’Brien planning to use him if he regains his licence in time. The 42-year-old hopes to come back in time for the race, although a ‘private matter’ between Dettori and French governing body France Galop has delayed his return. The British Horseracing Authority will not let Dettori compete in Britain until his issues with France Galop have been sorted, but the Italian hopes to be able to compete in the prestigious race which he won on Authorized in 2007. The other two Group 1 races of the meeting are the Investec Oaks (Friday), the third Classic of the season and one which is run solely for three-year-old fillies, and the Coronation Cup (Saturday), run over the same 1m4f but for older horses. Although it only has handicap status, one of the most popular races of the meeting is the Dash (Saturday), which takes place over the fastest 5f in the world and serves to whip up the atmosphere before the Derby. Despite competition from all around the globe, the Investec Derby is still ranked as the greatest Flat race in the world. The race, one of terrestrial TV’s protected crown jewel events, is one of the premier sporting events in any sphere and Channel 4 will have live coverage of the all key races from the 2013 meeting. The summer months sees Channel 4 broadcast some of horse racing’s most prestigious meetings and it all starts with the 2013 Investec Derby Festival at Epsom. The two-day festival is live for the first time on Channel 4 since 2000 as it brings terrestrial viewers extensive coverage of both days, with the Oaks featuring on Friday, May 31, followed by the Investec Derby on Saturday, June 1. Clare Balding leads the presentation team from Epsom with the BAFTA award-winning broadcaster introducing five live races on Channel 4 each day. Sharing presenting duties with Balding will be Nick Luck, who will be based in the Channel 4 Racing studio alongside analysts including Jim McGrath, Graham Cunningham and Mick Fitzgerald. The Channel 4 studio will be positioned on the inside of the course alongside the winning post and will be built into the racecourse’s branded finishing line area. Roving reporting duties will be carried out by Rishi Persad and Emma Spencer, while Tanya Stevenson will be joined again by her Irish TV counterpart Brian Gleeson to give viewers the latest insights and news from the betting ring. 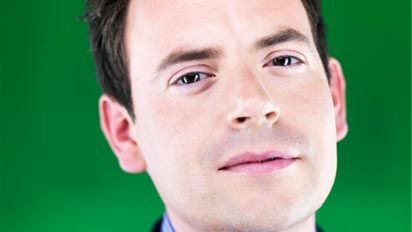 Commentary on all of Channel 4’s live races comes from Simon Holt. Alastair Down completes the on-air line-up to deliver daily essay-style preview packages. A special Saturday edition of The Morning Line, presented by Nick Luck, will launch Channel 4’s Derby Day coverage at the later time of 9.00am, with afternoon racing live from 1.00pm ahead of the famous Derby at 4.00pm, plus a late-night highlighst show presented by Rishi Persad. An array of global features will complement the coverage including an ‘At Home With Aidan O’Brien’ – here Mick Fitzgerald secures an invaluable insight into the Irishman behind the sunglasses. Germany is the next port-of-call for a training preview of Derby contender Chopin trained by Andreas Wohler. Going one step further, reporter Rishi Persad gallantly tests his fitness and undergoes jockey training to compete in the Equisiser Derby run over the exact distance and speed of the blue riband race. Coverage will also include additional footage from the recent Channel 4 documentary Secret of the Suffragettes, presented by Clare Balding, which marks the 100th anniversary of the ‘Suffragettes Derby’ where Emily Davison infamously stepped into the path of the King’s horse at the Derby and was fatally injured. Reinforcing the channel’s commitment to innovating coverage of the sport as its exclusive terrestrial broadcaster, around 45 cameras will be deployed on the site to make sure all angles are covered over the two-day meeting. A helicopter and a tethered blimp will give an unique overview of the Downs, while jibs and camera cranes will provide a dynamic view around the Parade Ring and the course itself. Low level cameras will be put in place to show a low re-run of the classic Oaks and Derby contests, giving a perspective of the undulations of this unique, stamina-zapping track. The team will also employ virtual cameras and graphics to highlight race distances and the finish of each race for viewers. To promote the return of the Epsom Derby to Channel 4 after a 12-year absence, the broadcaster has filmed a brand new marketing trail ahead of the two-day Festival (see above). Filmed earlier this month at Cobham Test Track, Longcross Proving Ground in Surrey, the Derby trail features three horses sprinting down the A24 on-route to Epsom being chased by a traffic patrol car. The campaign has been produced by Channel 4’s in house creative agency 4creative – the team behind 2012’s acclaimed Meet the Superhumans Paralympics campaign and the Original Extreme Sport campaign for the Grand National earlier this year. Channel 4’s digital platforms will also provide a comprehensive racing service across the two-day meeting to support viewers’ experience. The Channel 4 Racing website features include an exclusive Epsom ride-guide by Jamie Spencer that reveals the course’s unique undulations, Tanya Stevenson previews the Classic contests with an eye on long-term trends and statistic plus full post-race analysis by the team. This is supported by multi-media live text commentary with complementary activity on Twitter (@Channel4Racing) and Facebook. The Investec Derby forms part of an unmissable summer of racing on Channel 4, which also includes Royal Ascot – which makes its C4 debut in mid-June – as well as Newmarket’s July Festival, Glorious Goodwood and York’s Ebor Festival. This all equates to some 21 Saturdays and six mid-week festivals from 47 racecourses featuring 223 televised races. Co-presenter Nick Luck is looking forward to the Epsom meeting returning to Channel 4 screens after more than a decade on the BBC. “I think, in addition to it being a fabulous day out, in terms of the colour and the charisma of the occasion, it still retains its significance as the race that makes future generations,” he said. “It’s Britain’s single biggest sporting day out. You’ve got the pomp and ceremony of what’s going on in the grandstand, with the arrival of the Queen and so forth – and she never misses the Derby – and then the colour of the hill, encompassing people from all walks of life. Commenting on how Channel 4’s coverage will differ from the BBC, the event’s previous rights holders from 2001 to 2012, Luck said: “My own observation from Aintree (Grand National meeting) was that there was a deal of innovation shown in how the races were covered – I think you got lots closer to the action, I thought the artistry of the races was quite striking. “On an editorial level, I thought the striking thing about Cheltenham and Aintree was the amount of access that we got behind the scenes. “We would take the horses all the way from the stables right through to the point where they’d won the race and then were dope-tested. Dedicated horse racing channel Racing UK will also cover all the action from the 2013 Investec Derby Festival. All 14 races will be broadcast live across the two-day event with coverage starting at 1.00pm on both days, including exclusive live coverage of the final two races. Clare Balding and Nick Luck are at Epsom to bring viewers all the excitement and action on the first day of the Derby meeting – featuring five live races. Today features the fillies’ Classic – The Oaks – also run over 1 mile 4 furlongs of this unique rolling, racing landscape. All-conquering Irish trainer Aidan O’Brien has already won this race four times, and seeks to take it again with Moth, favourite for today following her third in last month’s 1000 Guineas. Clare Balding and Nick Luck lead Channel 4’s live coverage from Epsom Downs as they bring viewers all the excitement, glamour and drama of Derby Day 2013. Over 125,000 people will crowd around the natural amphitheatre of this unique racecourse as Europe’s best young thoroughbreds sweep around Tattenham Corner to try to add their name to a roll of honour which began in 1780. Can Dawn Approach for Ireland’s Jim Bolger do what his sire New Approach did in 2008 – take the richest prize in British racing – and secure his place in history? Punters and racing fans can get into the mood with a special Derby Day edition of The Morning Line, presented by Nick Luck. He will be joined by various guests throughout the show, bringing viewers all the latest news, features, betting and tips ahead of the Epsom Derby – the richest and most prestigious classic race in the calendar. The programme features all the main players and previews the chances of the top contenders for first prize – over £750,000 and a place in racing history. This entry was posted on Sunday, May 26th, 2013 at 12:30 and is filed under Racing. You can follow any responses to this entry through the RSS 2.0 feed. You can leave a response, or trackback from your own site.